I have been blogging for … well to be honest about 10 years. It was a long time ago that I started my first blog. I maintained it until my second child was born and then my updates got fewer and fewer until I stopped updating all together about 2 years ago when I first started youth pastoring. Several months later I felt the need to start blogging again, but I was so over the previous blog. It really wasn’t who I was anymore. I started a blog on blogger and built up a small following. I was learning a lot about writing web pages again at this same time. I started designing webpages before I started blogging and then got away from the whole thing because of college and a family. Then I became a pastor at a smallish church. We have enough money to pay the staff, the bills, and for ministry but not for design work. I started refreshing myself on building webpages so I could create one for the church. I learned that the internet is a very different place after a 10+ year hiatus. The most basic concepts apply but the details are incredibly different. I began applying my skills to blogger but felt really limited by the environment. Eventually I made the transition to WordPress and became mildly addicted to doing design work for this platform. It creates a great framework so I don’t have to worry about talking to a database and can focus on making the pages look right. I got my site done first and learned a lot. I did a few other sites for friends and a couple of nonprofits I work with. Earlier this week I was contacted to create a blog theme for income. This is something I’ve never done before so I began rushing to put together pricing information. I researched a lot of people who do this kind of work and found that a lot of them charge sky high prices. Since I am just starting off I put my fee structure about half what the “more reasonable” people were charging and embarked on a new phase of my net life. 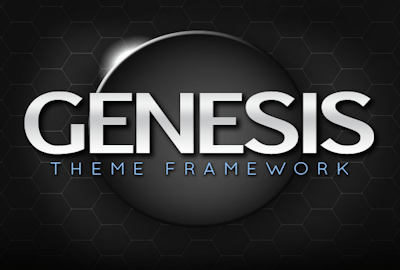 The site was built on the Genesis theme framework. This framework is like icing on a great cake. It has “hooks” built into it so a designer can add features to a template almost anywhere. It is the equivalent of a peg board. Want to hand a tool in a particular spot? Put a small piece of code in that tells the theme what you want to attach and where. It’s pretty much that easy. Of course you still have to either find or create the tool you want to add, but the theme removes a lot of work. The reason it is amazing is, once you’ve built some specific kind of tool, you can keep that code and insert it elsewhere under different circumstances. Plus it has features on the back end that allow the site admin to change the locations of certain features without having to know the coding. Once it is setup correctly a person with no knowledge of php, css, or html could make significant changes to the website. Also, I’ll be making some changes around here soon. I’ll be keeping this blog but I’m setting up a business site and portfolio.